Back in the 1980s when schools were not only keen to redress the gender imbalance but were required to do so by government, there was particular concern about the lack of female role models in science and maths. They were few and far between. Well, it’s not hard to see why there weren’t too many female scientists and mathematicians prior to reliable birth control: these are subjects where concept formation is sequential so time out for having a baby every year is a bit of a barrier, to say the least. And then, of course, there was the not inconsequential matter of access to education. Even the daughters of the wealthy missed out. Their brothers, either with professional private tutors or at school, were taught serious, useful subjects to fit them for purposeful lives, to understand the world around them, to continue with further study at university or to follow their own interests in research and discovery if they wanted to. Science was a ‘gentleman’s hobby then, not a profession. Daughters of the wealthy, on the other hand, learned The Accomplishments, i.e. nothing that would tax (or stimulate) the brain but would make women fit for pleasant companionship. Girls learned the art of conversation, perhaps in one or two foreign languages – but certainly not Latin or Greek which is what the boys learned. Girls learned to be able to entertain the household with music, song and reading books aloud; to do pretty crafts such as tatting and embroidery; and to do a bit of sketching or portraiture. So women like the subjects of this most interesting book by Robyn Arianrhod were very, very rare. 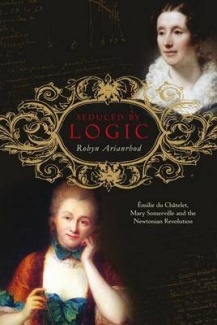 Seduced by Logic tells the story of Émilie du Chatelet (1706-1749) who translated Isaac Newton’s Principia and defied the Paris Establishment by promoting his theories on the Continent. It was she who made this work of genius accessible to scholars and philosophers across Europe so that they might build on it with further discoveries. And she was able to do this because she understood it, where many of them did not – because they were constrained by religious orthodoxy and (to some extent) xenophobic distrust of ideas which came from England. Émilie du Châtelat is one of the heroes of Enlightenment France, but everybody remembers the name of her lover Voltaire instead. Which is doubly cruel for her reputation, because although he loved her and supported her in ways that would have left Jane Austen gasping, he let her down at the end. Perhaps because he was devastated by her premature death in childbirth, perhaps (since the baby was fathered by a rival) because of residual jealousy, perhaps because he lost interest in science after she died, Voltaire didn’t get round to publishing her magnum opus. 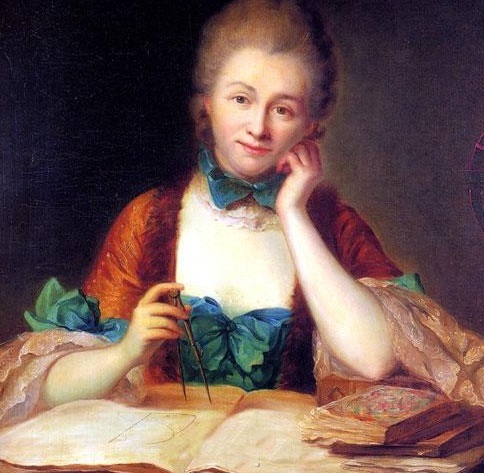 It was not published until ten years after her death (by Clairaut), and although her Principia was incredibly influential Émilie du Châtelat’s name was more or less forgotten until the 1940s, and not seriously revived as a hero of science until feminists took her up in the 1970s. Mary Somerville (1780-1872) was another polymath. Born in Scotland, Mary became an authority on Newtonian physics, wrote the definitive textbook for students at universities (which she herself was not allowed to attend because of her gender), and was awarded a government pension for life because her work was considered so important that they wanted her to keep writing and publishing in mathematics and astronomy. Like Émilie, Mary’s interest in maths and science was stymied by parental and societal expectations but she persisted and in adulthood was lucky to find a supportive life partner. (In her case, with Husband No 2, Dr William Somerville). She was largely self-taught, but again like Émilie was active in a small milieu of people who were keenly interested in science and maths and who, one way or another, pursued their own discoveries. (I was especially saddened to read about the expensive equipment that Voltaire was able to use for his experiments while Émilie had to improvise upstairs in her room with bits of coloured rag to do her experiments about the nature of light. She kept these activities covert so that she wouldn’t arouse professional jealousy from Voltaire). 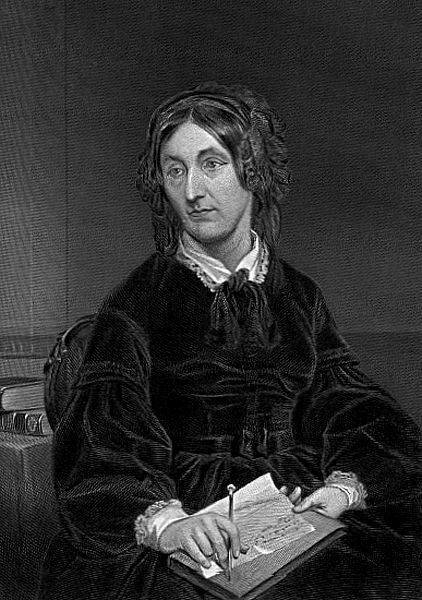 Unlike Émilie du Châtelat, Mary Somerville achieved widespread recognition in her lifetime, and she went on producing milestone works about science and maths well into her old age. She also wrote her memoirs, the source for much of Arianrhod’s survey of her life. Arianrhod is a mathematician at Monash University and her enthusiasm for her subject is palpable. By and large she succeeds in making complex subjects comprehensible in order to tell the human story that lies behind the achievements of these remarkable women, but is less successful with this in telling Mary Somerville’s story. Due to the rapid advances being made in science in Mary’s era, there are more explanations, the science itself is more complex, and the text is much more dense. It was in this section that I began to be irritated by a repeated mannerism with which she introduces her explanations: ‘Recall‘, she instructs over and over again, as if she assumes that this exhortation to dredge up dusty memories of school science will have the desired effect. There are times when she launches into long digressions about some aspect of science that someone else was working on, which, alas, I did not ‘recall’ if indeed I ever knew it, and no, I was not in the mood to investigate further using the appendix full of mathematical equations and algebra. There are four pages, for example, about one William Thomson, who – while admittedly a prodigy in the field of electromagnetism – was not part of Mary’s circle and seemed to have nothing to do with her work. I found the latter part of Mary’s story rather heavy going. Overall, however, this is an interesting book which offers inspiration to girls considering venturing into still male-dominated professions. I dropped maths and science at the end of Form Four because I was told that as a female, I would only ‘get a job mixing the ingredients in a butter factory’. Perhaps if I’d been able to read Seduced by Logic back then, I might have had a career in maths or science (because I was jolly good at these subjects, and I loved the tidy precision of numbers and theorems). Mind you, I probably wouldn’t have changed as many lives as I’ve been able to do as a primary teacher, and I doubt if it would have been as satisfying … que sera, sera! Jane Gleeson-White reviewed Seduced by Logic for The Australian. Update 10/12/12: See Yvonne Perkins’ review at Stumbling Through the Past for an historian’s perspective on this book. Update 19/7/14 Do visit Book around the Corner for a sample of Emilie du Chatelet’s thoughts on a good life. Source: UQP, won in a Twitter competition! Emilie du Châtelet is a fascinating character. Her death is sadly ironic for such a woman. What a pity she died so young. Hi Celestine, I think that’s why it’s important to have good role models, including female teachers for maths & science so that young people realise that being good at these subjects isn’t just for boys. There are many careers that are closed off if you can’t do maths, and we see many people making foolish (and sometimes dangerous) choices about things like vaccination and (so-called) alternative medicines because they don’t understand science.